Derek Buckler was one of many enterprising Britons who wanted to build light sports cars in the aftermath of WWII. 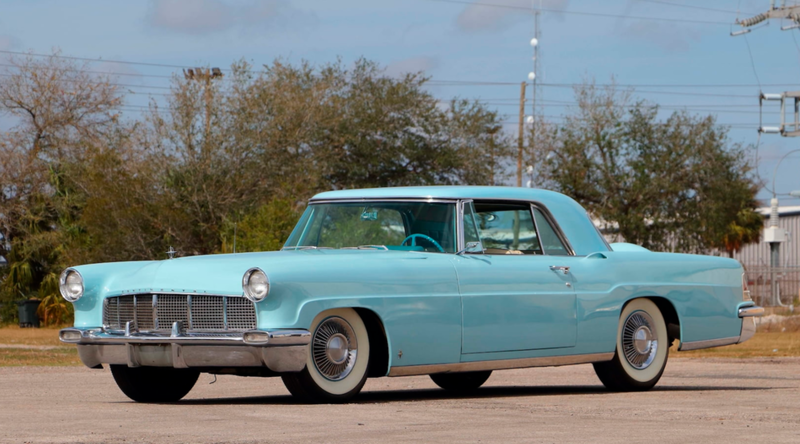 Based in Reading, he set up shop in 1947 and managed to churn out about 400 cars through 1962. The intended destination for his cars were race tracks. 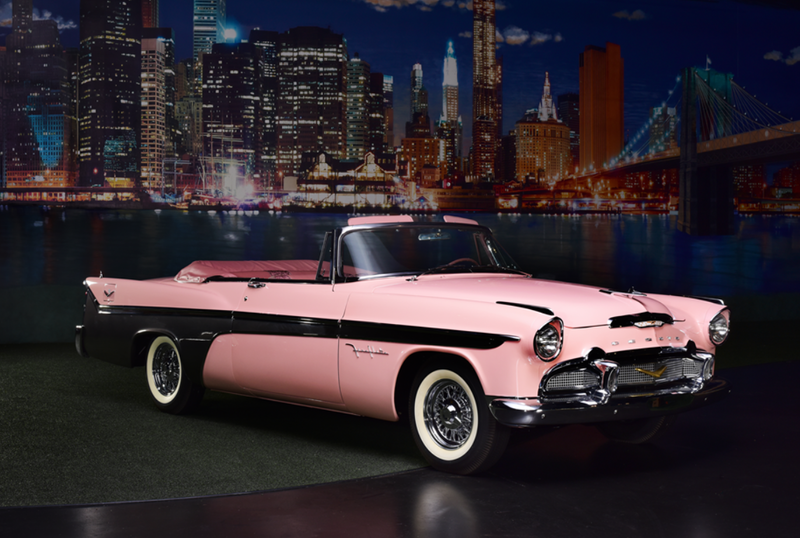 These are not common cars today. As you can see, they are tiny and look a little basic. But this two-seat roadster made up for any design demerits while on track. The Mk V is powered by a 1.2-liter straight-four from a Ford Prefect. Top speed? 80 mph. 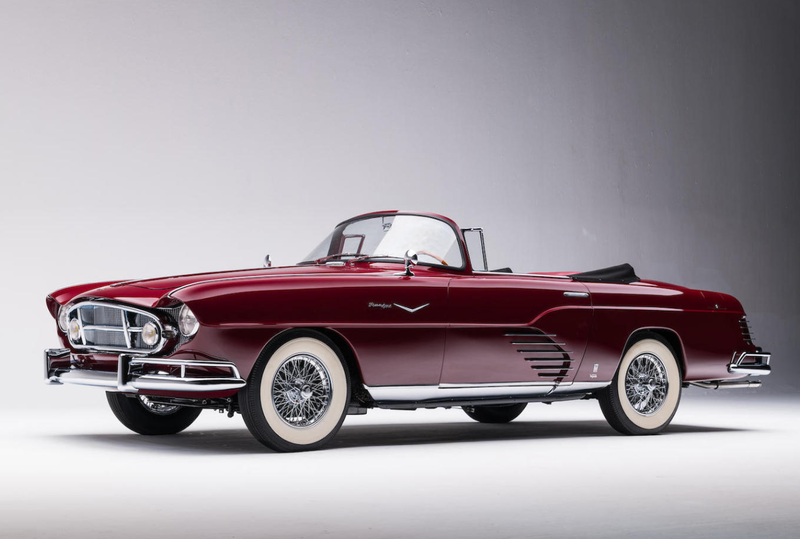 The Mark V was the first car Buckler built (but so named so others wouldn’t know), becoming available in 1949 and lasting through 1955. 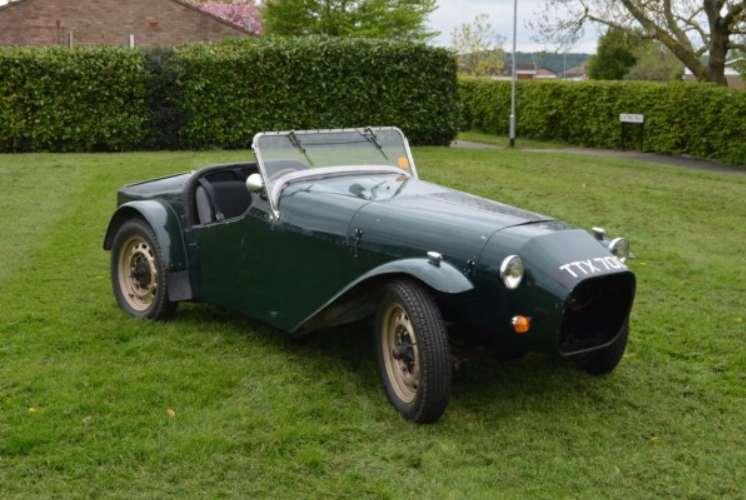 A slightly lengthened Mk VI was also offered. 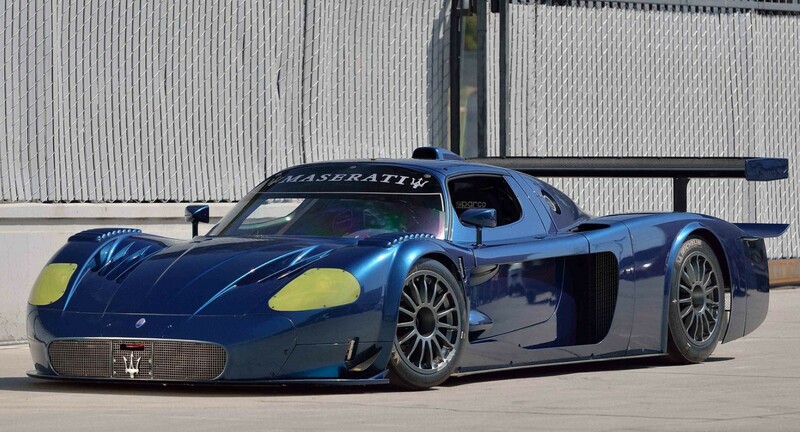 This would be a great car for hillclimbing and welcomed at most such events. It should bring between $8,000-$10,500. Click here for more from Brightwells. Here is another one-off sports racing special carrying the name of John Tojeiro. In this case, Tojeiro wasn’t really involved with building the car at all. Instead, a racer named Major Ronald Clare Clifford Palmer bought a chassis from Tojeiro’s company and built his own car, using an engine from Archie Butterworth. Butterworth had been designing and driving race cars since the end of WWII and had created a series of small four-cylinder engines for Formula 2 competition. It was one of these engines that Palmer and a friend purchased to install in this car. It’s a 1.5-liter flat-four, race-prepped and ready to run. The body was custom built and pretty much looks like they sprayed liquid fiberglass over the components and let it dry. It’s a tight fit, which helps keep the weight down. The current owner bought it in 2011 and this thing has been completely gone over. It’s raced in historic events are some great tracks around Europe and now it’s someone else’s turn to enjoy it. It should bring between $110,000-$160,000. Click here for more info and here for more from this sale. Charles Deutsch and Rene Bonnet teamed up for the first time in 1938, applying both of their surnames to automobiles. 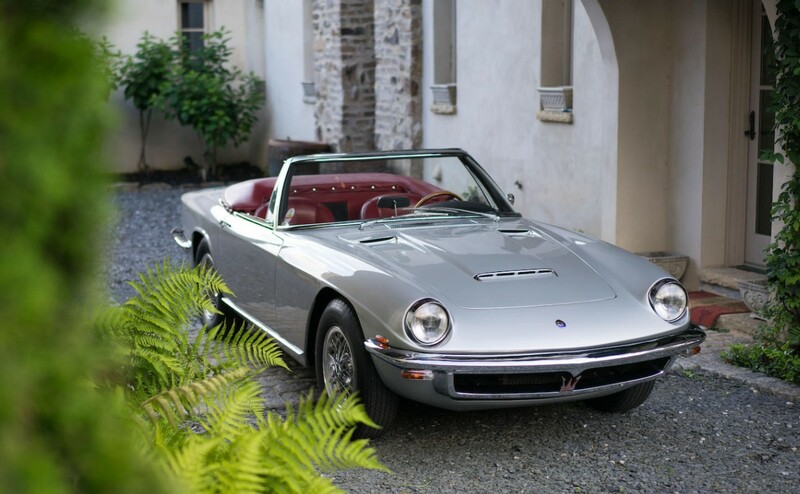 In 1947, they would shorten it to just “D.B.” and would continue building cars through 1961 when Bonnet ventured out on his own, until his new company was scooped up into Matra. 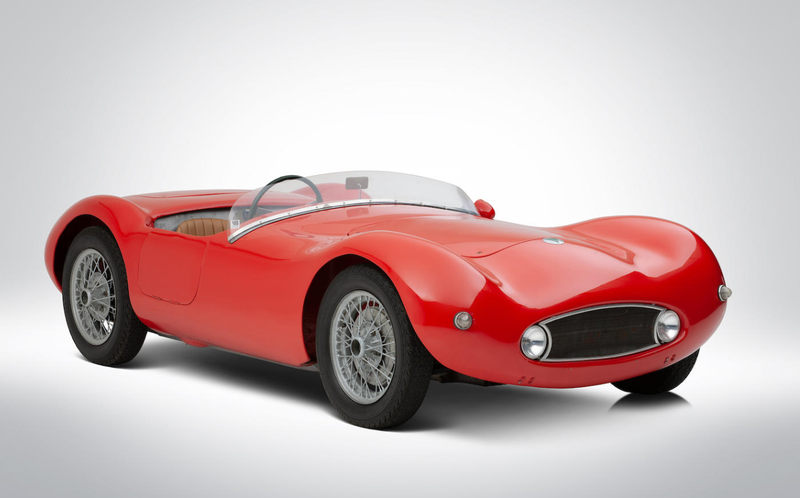 The HBR5, of which we’ve already featured a highly customized example that has different body work than this car, was a sports and racing car built between 1955 and 1961. In total, 450 were built and this one is powered by a 65 horsepower, 848cc flat-twin. That’s a decent amount of power from such a tiny engine. But with a lightweight fiberglass body, these were stout cars in their class on the track. 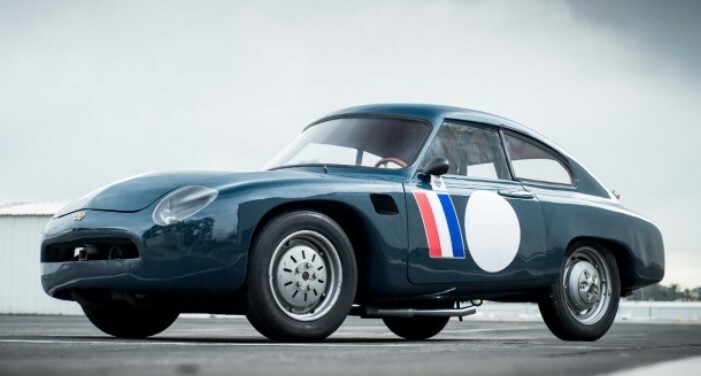 For example, this car, while owned by famed designer Brooks Stevens, competed in the 1957 12 Hours of Sebring, failing to finish with drivers Guy Storr and Hal Ullrich. D.B. cars don’t come up for sale often (I’ve featured nearly every one of them in the past five years and we’re now standing at “four”). This one should bring between $100,000-$130,000. Click here for more info and here for more from this sale. 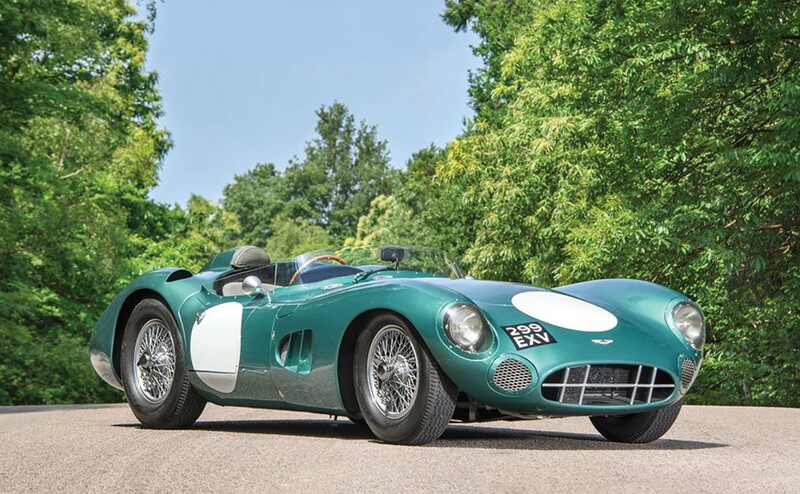 On their home page, RM Sotheby’s describes the DBR1 as “the most important Aston Martin ever built.” Why’s that? Because David Brown bought Aston Martin in 1947 and set his sights on winning Le Mans. With the DBR1, he finally succeeded, putting his little car company in the spotlight and ensuring its survival for decades to come. This car is not the Le Mans winning car, but the first of five DBR1s built (chassis #2 triumphed at Le Sarthe). This was built in 1956, there was one example in 1957, one in 1958, and two in 1959. If you’re a big fan of Astons, perhaps this car reminds you a little bit, styling-wise, of the DB3S. 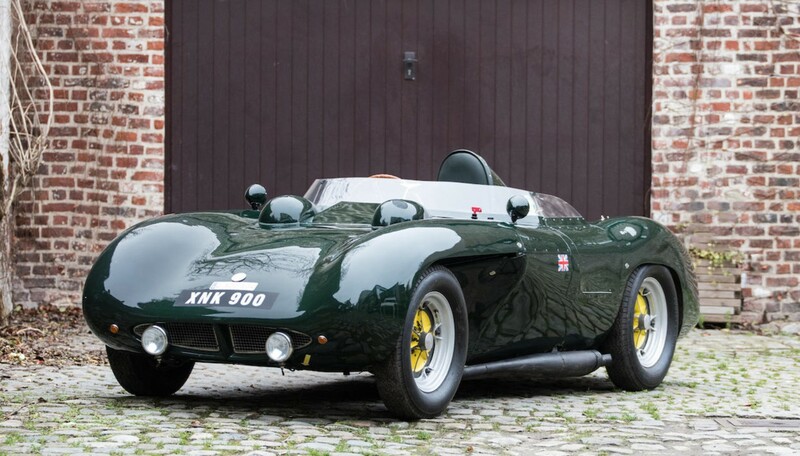 This DBR1 is powered by a reproduction 3.0-liter straight-six developing 302 horsepower. 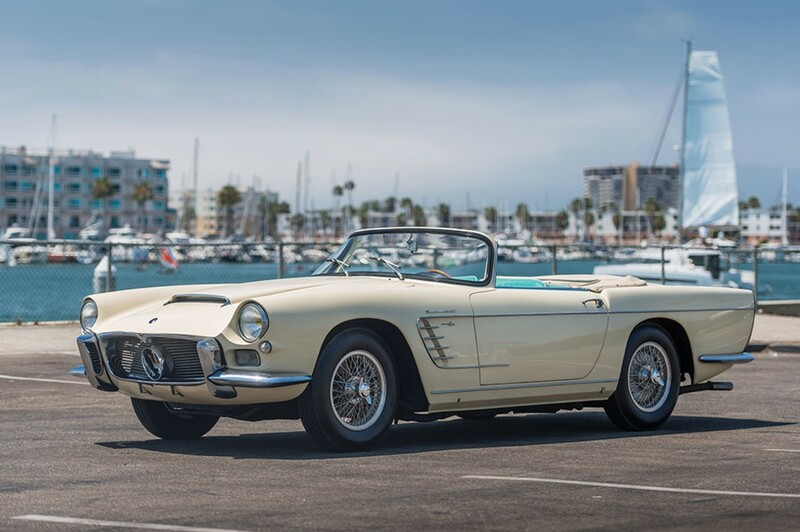 The owner had the engine specially constructed for this car so it could be used in historic events without fear of damaging the original 3.0-liter unit (which peaked at 255 horsepower). What a race history! 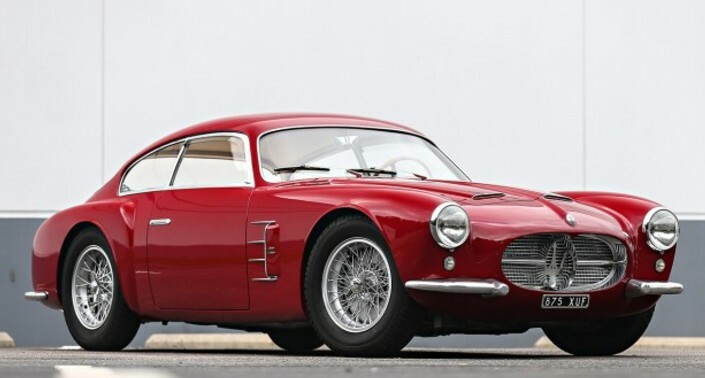 Tony Brooks, Roy Salvadori, Carroll Shelby, and Stirling Moss all drove this car in period. And it won the 1000km of the Nurburgring (with Moss at the wheel, no less). 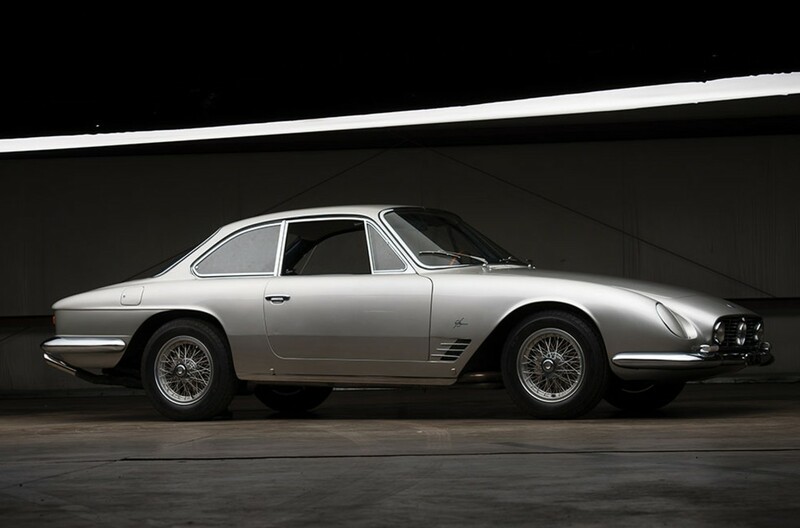 The current owner, a major Aston Martin collector, has owned this car since 2009. RM hasn’t published estimates at the time of this writing, but it’s possible this one gets tagged with the ubiquitous “Inquire.” Click here for more info and here for more from this sale.